On January 10, 2017, NPR published an article titled, “Despite The Facts, Trump Once Again Embraces Vaccine Skeptics” written by Domenico Montanaro. To those of us at MercuryFreeBaby.org, this article came across as unbalanced. This NPR article did not mention any of the facts from the “other side” that are important to this issue. Leaving out critical information and facts that raise public vaccine safety concerns from your article leaves the reader with the false impression that there is only one legitimate side to the vaccine safety issue. So, in this open letter to NPR from Mercury Free Baby, we wish to point out some key facts from the “other side” of the vaccine safety issue that were excluded from your article. “Research shows that thimerosal does not cause ASD [autism spectrum disorder]. In fact, a 2004 scientific review by the IOM concluded that ‘the evidence favors rejection of a causal relationship between thimerosal-containing vaccines and autism.’ Since 2003, there have been nine CDC-funded or conducted studies that have found no link between thimerosal-containing vaccines and ASD, as well as no link between the measles, mumps, and rubella (MMR) vaccine and ASD in children. Of the “nine  CDC- funded or conducted studies” that “found no link between thimerosal-containing vaccines and ASD”, four (4) did not even look at ASD. If you look more closely at them, you will see that five (5) of the nine (9) studies overseen by the CDC, 55+ %, found significant harmful outcomes, such as tic disorder, language delay, and memory and motor skill deficits from exposure to Thimerosal (Barile et al., 2012; Tozzi et al., 2009; Verstraeten et al., Thompson et al., 2003; and Stehr-Green et al. 2003). 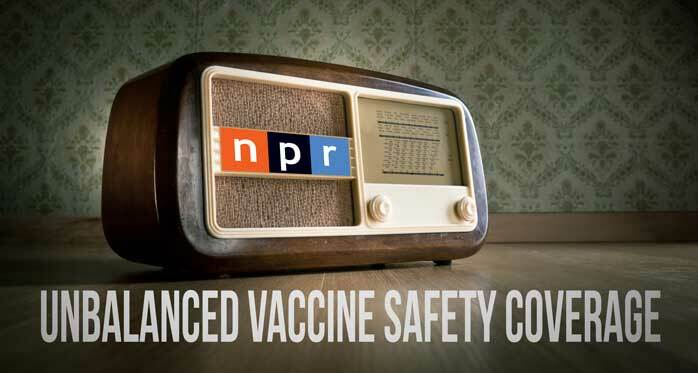 First, as the NPR statement admits, “the removal of thimerosal” has not been “done”. Each year millions of Americans (more than [>] 150 million) get an influenza-vaccine inoculation. Over half of those influenza-vaccine doses (>75 million] still contain a preservative level of Thimerosal (50 µg of Mercury) per milliliter of vaccine]. Further, the CDC recommends influenza vaccines for pregnant women (at any time during pregnancy); infants (twice in their first year of life); and children, adults and the elderly (yearly). Mercury Free Baby is dedicated to promoting a world in which no child, born or unborn, ever receives avoidable Mercury exposure from a product that was supposed to improve their health. Thimerosal is a neurotoxin and over 200 studies have found it to be harmful 12 and thus we encourage NPR to take a close look at Thimerosal and vaccine safety issues. Finally, Thimerosal is not a necessary component in vaccines. If you would like to interview the founder of Mercury Free Baby, Reverend Lisa Sykes, about Thimerosal or vaccine safety issues, please contact us.